That Belfast is now so keen to lay claim to building the RMS Titanic is one of those quirks of history. The tourist board proudly encourages visitors to “uncover the true legend of Titanic in the city where it all began”, despite it being one of the worst maritime disasters in modern times. Yet 106 years after the “unsinkable” liner fatally collided with an iceberg, what was once a taboo subject is now a major tourist attraction, not least thanks to James Cameron’s 1997 blockbuster. 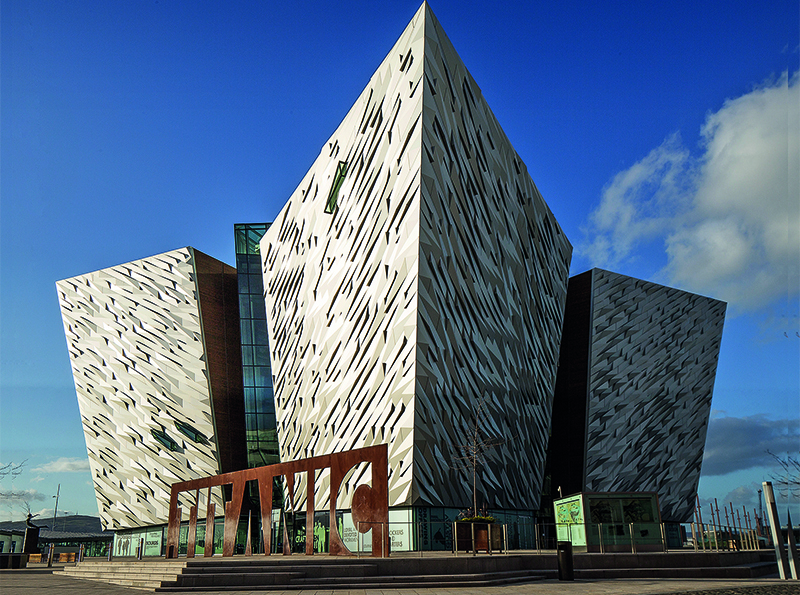 Memorials and museums abound in Belfast harbour, an area renamed the Titanic Quarter despite shipbuilders Harland and Wolff completing many more successful ships here. Such a turnaround is representative of the city as a whole. A United Nations report ranked Belfast one of the safest cities in the world (second only to Tokyo, in fact) and it is focused on sharing its many delights with the wider world. The Cathedral Quarter represents the cultural heart of modern Belfast, while the leafy Queen’s Quarter to the south offers a more sedate pace of life. 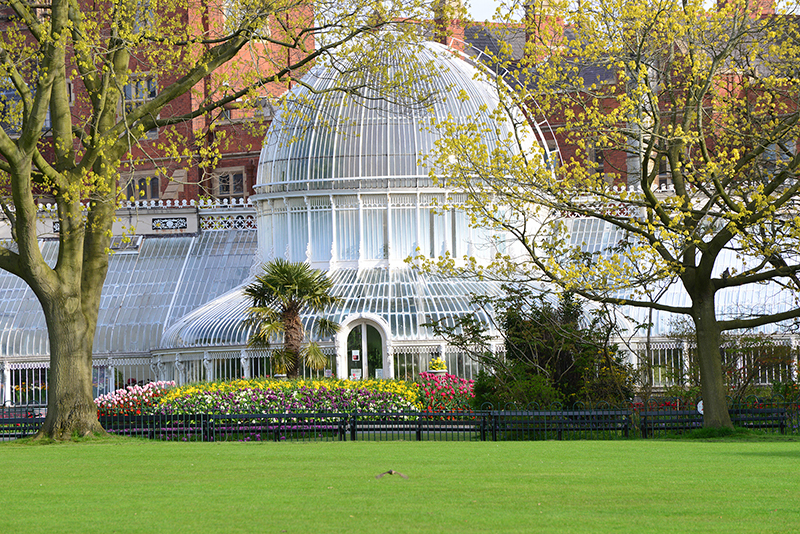 The Botanic Gardens open daily at 7.30am, making them perfect for a morning stroll. Situated near Queen’s University to the south of the city, the gardens were founded 190 years ago, yet only opened to the public in 1895. The Palm House conservatory features exotic birds and plants, while the Tropical Ravine reopens this spring following a £3.8 million restoration. Within the Botanic Gardens is the Ulster Museum, which mixes Irish heritage with a more global look at natural history (Peter the taxidermy polar bear, who once lived in Belfast Zoo). A current highlight is theGame of Thrones tapestry, a 77-metre retelling of the show’s seven seasons in the style of the medieval Bayeux Tapestry (on display until 27 August). Continuing the Game of Thrones theme, The Dark Horse is home to one of 10 doors depicting scenes from the TV series that were carved from Dark Hedges trees and distributed to filming locations across Northern Ireland. Non-Thronies can simply enjoy a cuppa served in an atmospheric bar dotted with antique mirrors and lanterns. St George’s Market is the last of its kind in Belfast. Around 250 stallholders hawk their wares in this sprawling Victorian space with a different focus on each of the three days: Friday is a ‘variety market’ dating back to 1604, Saturday includes live music, and Sunday puts emphasis on local arts and crafts. Food dominates across all three, from street eats to fresh Portavogie fish. Painted on the gable ends of terraced houses, west Belfast’s political murals are a poignant reminder of the Troubles. Book a guided taxi tour for an empathetic local perspective. Over in the east, the Connswater Community Greenway has a number of downloadable, self-guided walking trails themed around famous locals, including Van Morrison and CS Lewis. The ill-fated RMS Titanic was built in Belfast’s Harland and Wolff shipyard, which is now the site of a visitor experience. Nine galleries feature reconstructed rooms, archive photos and the original 33-foot wide hand-drawn plans (but no artefacts from the 1912 wreck). 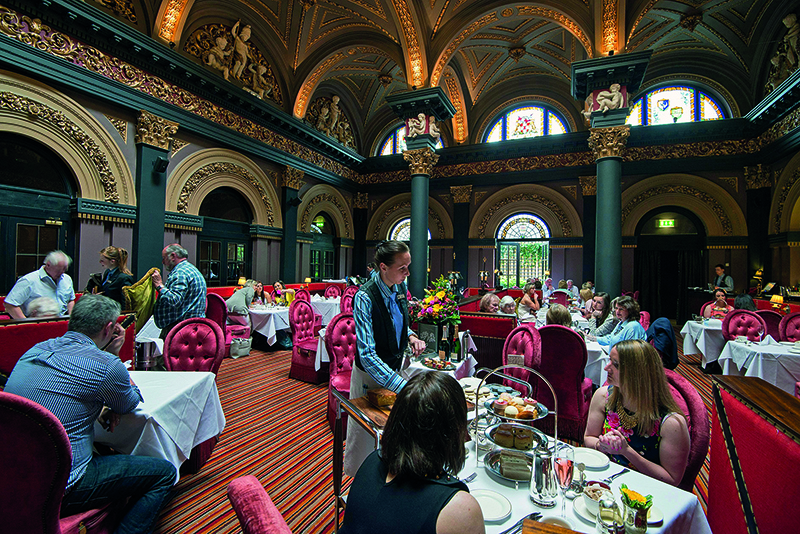 Visit the adjacent Titanic Hotel for a vintage afternoon tea. Since opening in 2012, The MAC has become a hub for Belfast’s creative community. The NATIVE café is a popular meeting point, the theatre mixes touring shows with original productions and the galleries stay open to 7pm. Don’t miss the MAC International open exhibition – at £20,000, it is Ireland’s largest arts prize. Belfast-born chef Stephen Toman met sommelier Alain Kerloc’h in the Michelin- starred kitchens of Paris and they’ve put that training to great effect at OX. 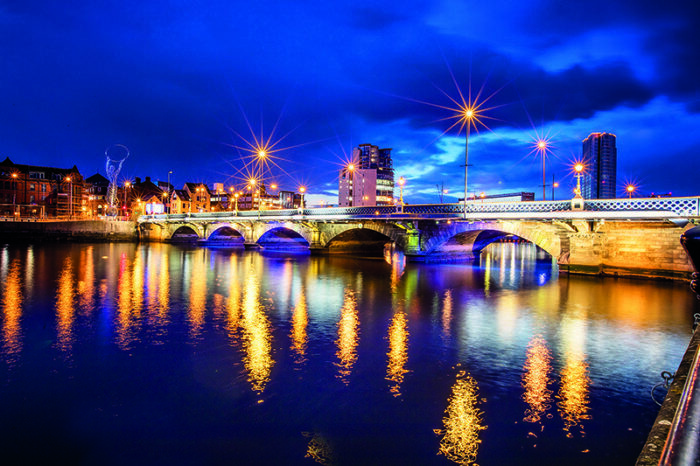 This 40-cover restaurant overlooks the River Lagan and offers an ever-evolving tasting menu filled with seasonal produce. Visit OX Cave next door for a more informal selection of wine and sharing platters. The first performance at the Grand Opera House came two days before Christmas in 1895. Since that time, the likes of Gracie Fields, Laurel and Hardy, and a young Pavarotti have graced the Frank Matcham-designed stage. A restoration is planned for 2020, while highlights include NI Opera’s Rigoletto (30 September to 6 October). The National Trust doesn’t make a habit of buying bars, but then there aren’t many that look like The Crown Bar. This 1826 gin palace on Great Victoria Street retains many gorgeous period features from colourful tiles to gas lighting. The atmosphere, however, is far from museum-like, with cosy snugs making it a perfect spot for a nightcap. Housed in a former bank HQ, the Merchant Hotel is unmatched for grandeur. The plush Victorian suites are named after Irish writers, the Great Room restaurant boasts Ireland’s largest chandelier and the Art Deco Berts Bar has live jazz every night. There’s even a chauffeur-driven Rolls-Royce that can be booked for tours or transfers. The Old Rectory was built in 1896 for Reverend Richard Seaver by his architect brother Henry. Now a four-star guesthouse, it retains much of that period charm with stained-glass windows and lush gardens. Round off a night’s stay with a breakfast that includes whiskey marmalade and a full Ulster fry-up.